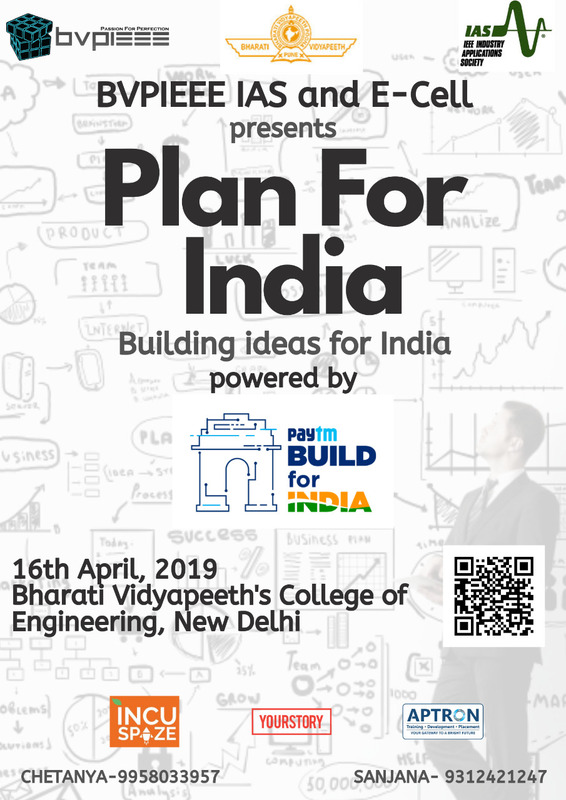 Plan for India is an ideathon and business plan challenge event at bharti vidyapeeths college of engineering, New Delhi. It is for all the undergraduates and graduates and we expect 150+ footfall in this challenge. The challenge will require the teams (size of 3-6 members) to present their ideas on different themes like - smart city, innovation in technology, food technology etc.